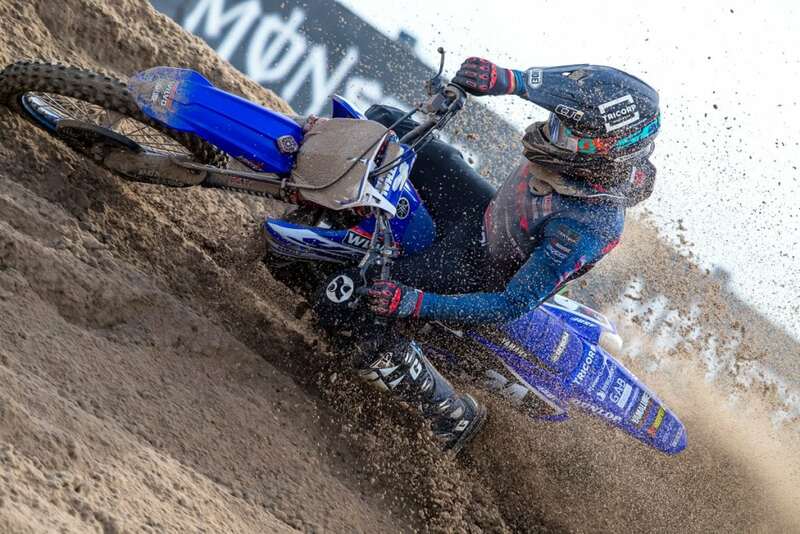 Shaun’s 2018 racing campaign and two-year stint with Wilvo Yamaha comes to a halt next week at Imola but also hot-on-the-heels of a season-highest classification in the sand of Assen. Finally fit and firing Shaun came to the temporary Dutch circuit laid out over the famous road racing asphalt for the fourth consecutive year, and with good memories of his 2015 victory on the course. Decent weather covered the weekend and the venue flooded with fans keen to see Jeffrey Herlings end his torment of the MXGP class as well as eye how the circuit and atmosphere will be ahead of the 2019 Motocross of Nations. SS24 registered a lap to place 6th fastest in Free Practice and then grabbed the 2nd best chrono in Timed Practice. His qualification heat was dented by a so-so start but Shaun rode well and effectively through the two motos on Sunday. A point of frustration came with a small tip-off in both races that cost him time and the chance to advance further than the two 6th positions he eventually secured to sit with the same ranking overall. “It was my best GP of the year and it was in the sand…but I’ll take that. Just one to go now and all focus on Imola,” he added. Shaun now has the twentieth and last round of MXGP ahead. He has missed four Grands Prix due to injury or illness this year but is determined to end his stint with the satellite Wilvo Yamaha team in the way it started in 2017 – pushing for the podium. The 30 year old will announce his plans for 2019 in the coming days.